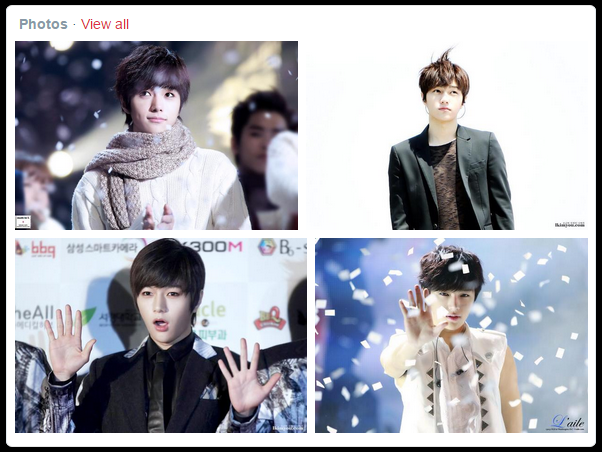 Today is Infinite L's birthday and fans from all over the world celebrating it with the hashtag #24thHappyLday in twitter. 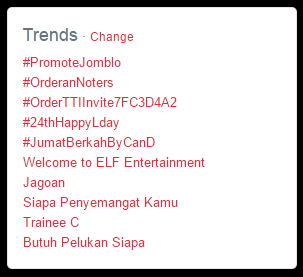 And just until a moment ago it still becomes trending worldwide! 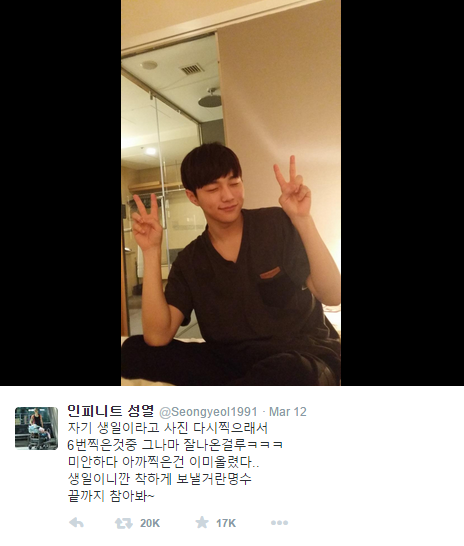 His fellow Infinite member and best friend, Seongyeol, also send birthday messages in twitter. He said, "Myung Soo, Happy Birthday. First birthday abroad!! Later in Korea, hyung will treat you something delicious! 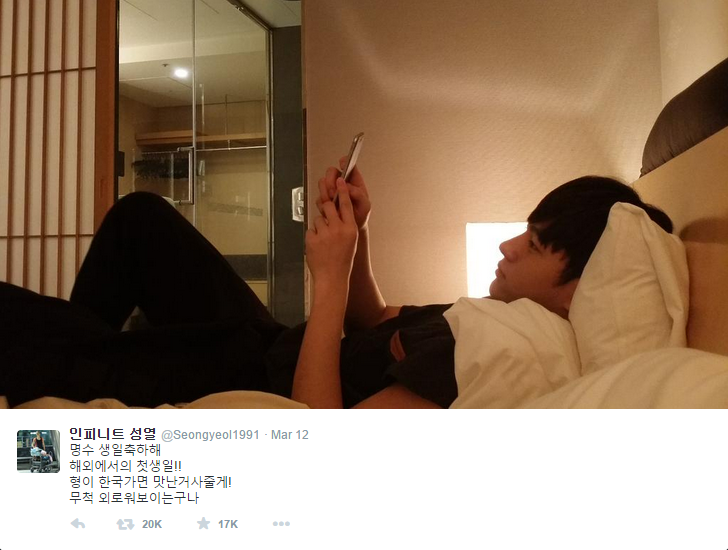 You look so lonely," followed by a picture of Kim Myung Soo in bed looking at his phone. Later he tweet again with L's picture showing V sign, but I'm not quite sure what he was saying because I'm not fluent in korean haha. 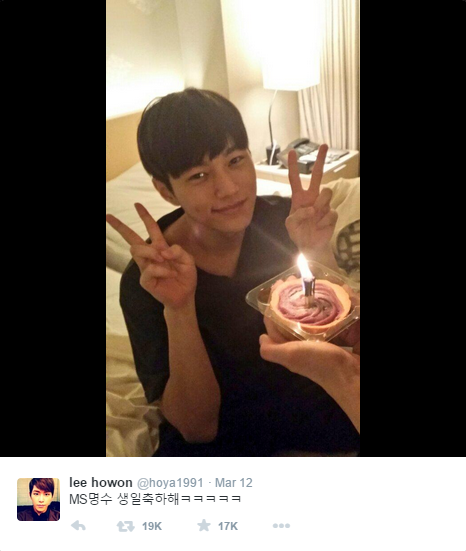 Infinite member Hoya also wish L a happy birthday in twitter, share a picture of the birthday cake as well. He said, "MS Myung Soo Happy Birthday ke ke ke ke ke". 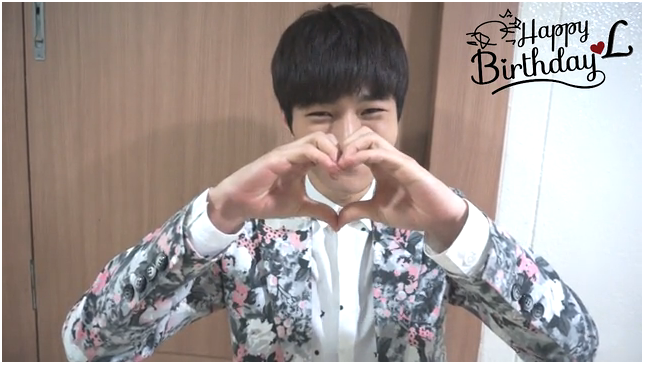 As a feedback for so much love from the fans and fellow members, L share a birthday message on INFINITE Official Fancafe home page here.